A wild white Roselle plant growing on the bank of Irrawaddy River, Myanmar. ]. 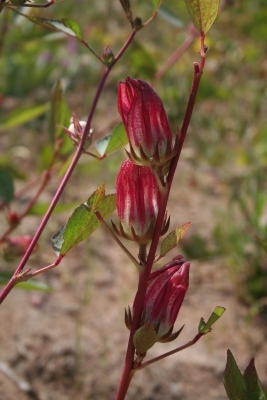 The plant, especially the calyces, is traded internationally. Tropics - probably tropical central or western Africa.